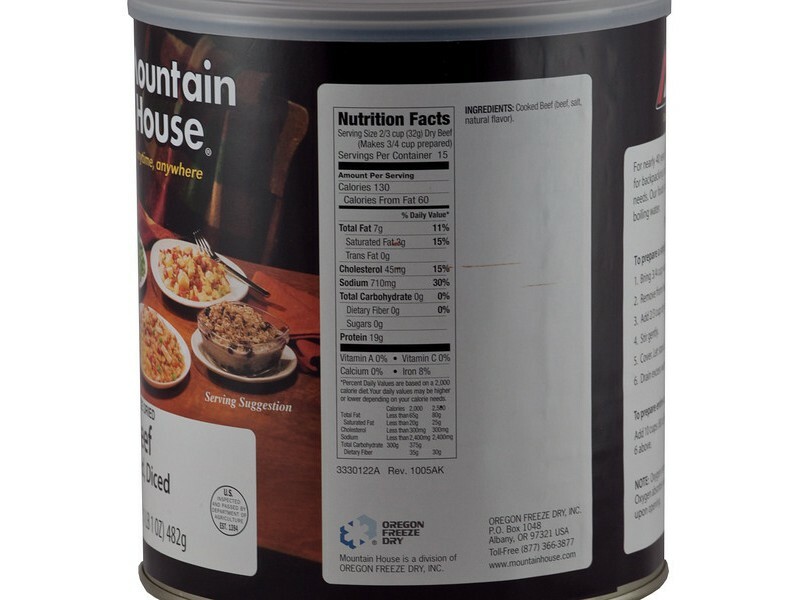 Mountain House #10 Can Diced Beef is a great way to store delicious meat which can be opened and used for a wide range of different things. You can cook this beef alone for a main course, or use it to add into pastas, sandwiches, soups of just about anything else. 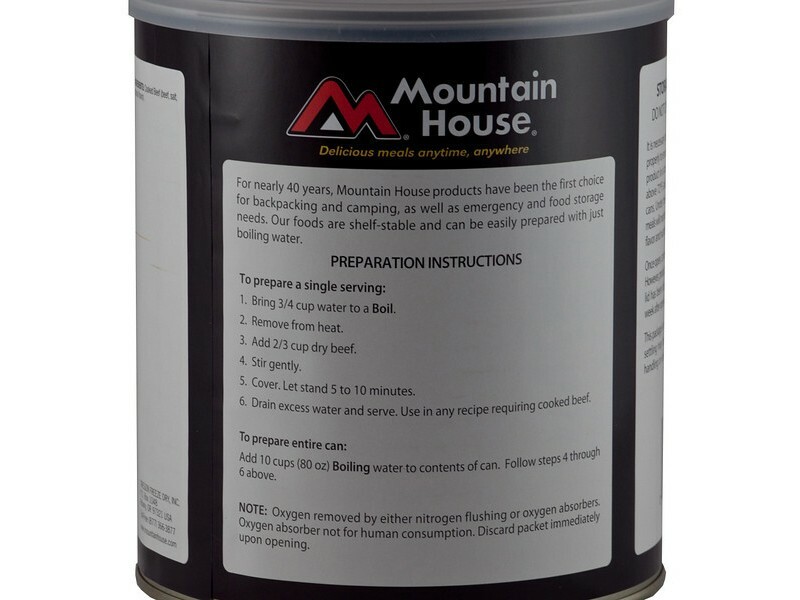 When it comes to emergency rations, this is one of the best options out there. It will last up to 25 years on the shelf, and contains 15 servings in each can. 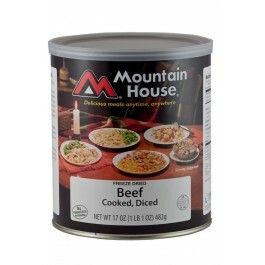 Mountain House’s can of diced beef is an important addition to any food stockpile. 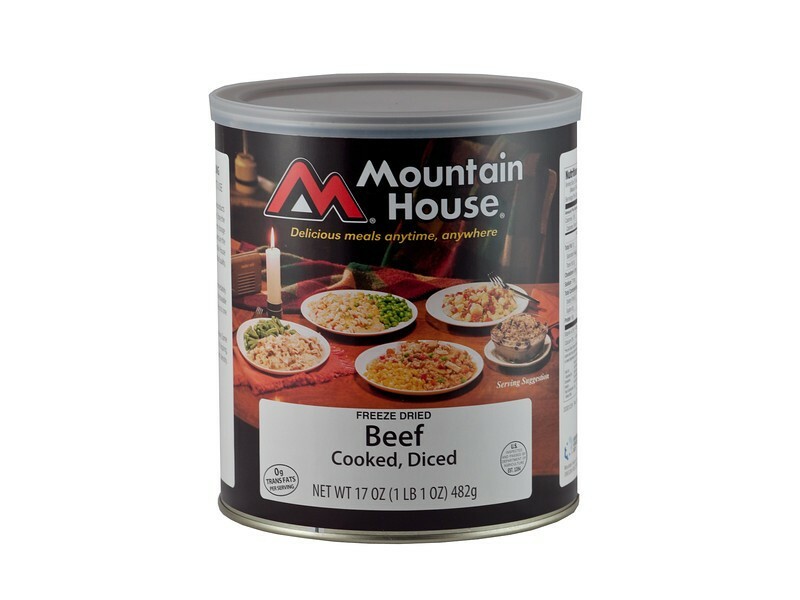 Whether you’re storing food in case of a global emergency, or you just like to have extra food around in case you ever run into hard times, this cooked, diced beef is an excellent option. Each can contains enough beef for you and your entire family, and then some. 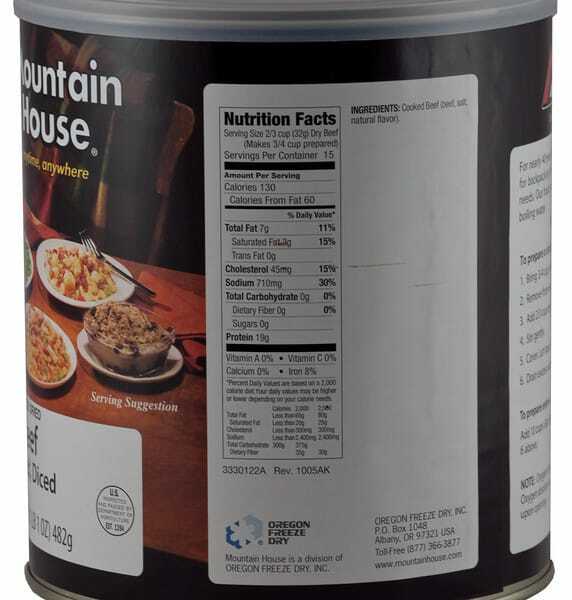 With 15 ¾ cup servings in each can, this product is perfect. The beef is pre-cooked, so you can eat it right out of the can if you need a fast and easy meal. You can also take it out and cook it into a variety of other recipes, making this an extremely flexible addition to your stockpile. If you ever find yourself in a situation where you need access to emergency rations, you’ll be very glad you have this available. It is a great way to be able to survive for a long period of time, without taking up too much space in your pantry or other storage location. 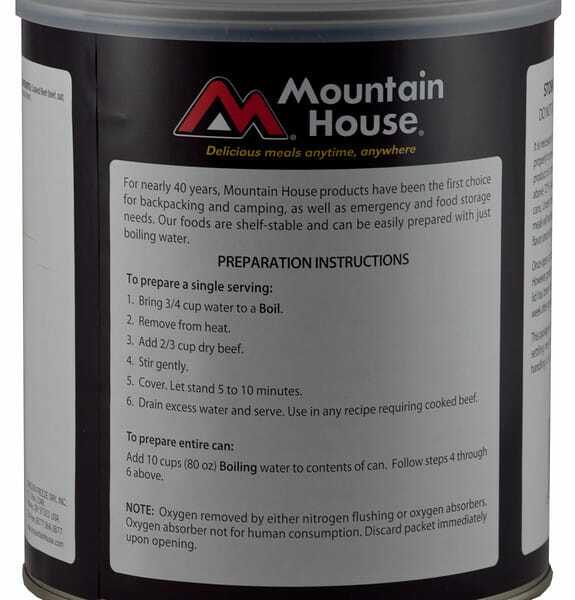 Like all Mountain House products, this is designed to last on the shelf for years. The can of diced beef will keep well for up to 25 years on the shelf, and then should be consumed within a couple weeks after opening. Cooking is also quick and easy by simply adding hot water in a large bowl. Give it a try, you’ll be glad you did. One can contains 15 3/4 cup servings.